How Can You Tell If A File Has A Virus On My New Computer? How Can You Tell If A File Has A Virus On My New Computer? ok, thanks, i got it. 1. only download files from a trusted website. if you are visiting a website for the first time, then you should not trust it until you've spent some time in it. 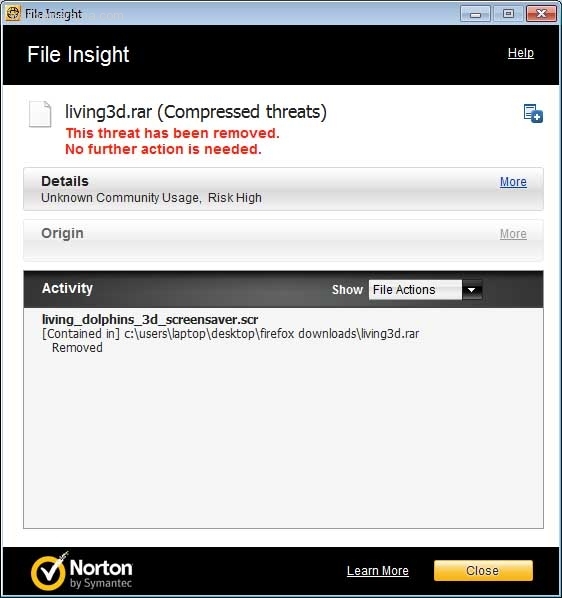 2. beware of screensaver files, these are where most of the viruses, worms and trojan horses are infected by computers. now a days, you dont need screensavers for your computer beacuse most monitors a LCD instead of the old kind, that were big bulky and heavy monitors. 3. install an anti-virus program on your computer. i have norton internet security and it works great, but it costs like $68 dollars a year for 4 computers. here i scanned your file and sure enough, its a bad file.